atnr is audio visual artist. in Tokyo, Japan. 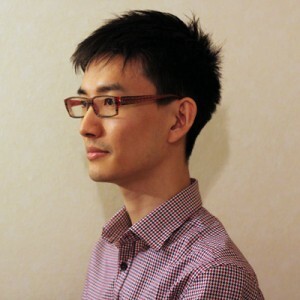 He established post techno label “Denryoku Label” and formed live-techno band “Hiroshima Denryoku” in 2000. Since 2004 he started his carrier in Tokyo. In 2007 he released a CD album “agenda” from “Denryoku Label”. The song “Reach” which is included in the album got first rank in CRJ Sapporo Chart. In 2008, he took part in Live Performers Meeting at Rome, Italy as first Japanese player ever. In 2010, he released iPhone/iPad application “Hex OSC” and connection software ”OSCtoMIDI” from iPhone app developer unit SkyLight. In 2011 he provided a track “green breeze” to Mizukage Records Compilation vol.06. In 2012 he remixed a track by Nyolfen “Lunar Eclipse”. In 2015 he performed in “Lost in karaoke” presented by Red Bull Music Academy as a experimental DJ unit Absolutely Amateur. And also he participated in Audio Visual festival “kaleidosoup” at Vietnam. Recently he sync music and generative visuals. He takes part in the other projects as a keyboard player, arranger, sound designer and so on. His music is influenced by electric, experimental, minimal and jazz.